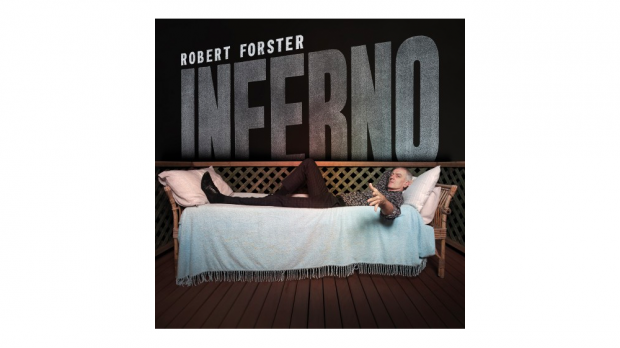 Inferno is Robert Forster’s first solo record in six years and finds the former Go-Between creating a beautiful balance between sticking to his songwriting strengths while still creating tracks that are creatively fresh and inspired. Reuniting with producer Victor Van Vugt for the first time since his first solo-record, Forster and his talented band fused together with the producer to deliver a very rewarding album. Suburbia is a recurring theme on the album. The first single, Inferno (Brisbane in Summer), is fun and upbeat new-wave crossed with a Jerry Lee-Lewis styled rocker backing Forster’s vivid imagery of hot and sweaty suburban gardens that turn into jungles in the humid Queensland summer. On No Fame, Forster’s lead character declares that they “don’t need no fame” despite a burning desire to escape their suburban surrounds, highlighted by the juxtaposition of a young writer who is “… going to write a novel that is set a hundred years ago” while outside his “mother hangs the washing and… father has jobs to ignore”. Elsewhere, Forster’s lyrical directness is combined with a starker production so as to heighten the emotive tone of tracks. This is particularly evident on the tracks The Morning, Remain and album opener Crazy Jane On The Day Of Judgement, a musical interpretation of the W.B. Yeats poem of the same name. The resulting gentle melancholy is reminiscent of late-Velvet Underground/early Lou Reed tracks, with back up vocals on The Morning from Karin Bäumler particularly touching. To create a element of sonic difference, Forster invites a low-key, beachy vibe onto Life Has Turned A Page and the heartfelt I’ll Look After You. While both tracks are reflective pieces, as Forster looks back on life and his relationships with others, not only do these tracks thrive from their different treatment but they also ensures that the listener is in for a very rewarding album experience.